Create an effective referral pipeline by making your drivers believers. It All Starts With Effective Messaging. Selling a qualified candidate on your company is the end goal of any recruiting interaction. If your message isn’t compelling enough, you’re losing sales. Yes, each driver has his or her own unique perspective on the company. But every driver should be aware of, and believe, your core selling points. And those points should be listed on the referral cards your drivers carry. Involve drivers in message development: Have you ever asked your drivers what attracted them to the company, and why they like working with you? You may be surprised what you hear. And if what you hear from your drivers bears scant resemblance to what you (and your recruiters) are telling prospects, you need to change your message. Make sure you have driver Buy-In: A client of ours once told us Referral Programs were useless, because their drivers were convinced more drivers meant less work for them. The truth was, the company had never effectively communicated the fact that more drivers enabled them to take that many more loads—which meant more work for everybody. We helped them develop convincing communications to that effect—and guess what: Referrals are now the company’s top source of new drivers. 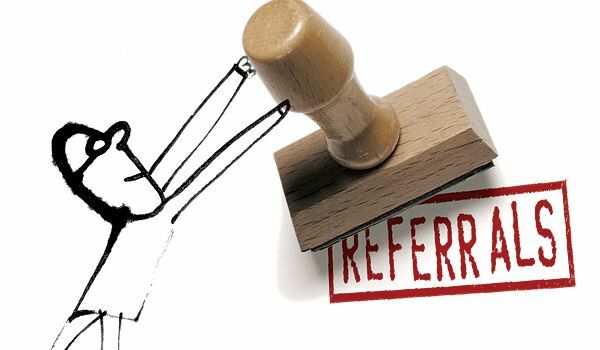 Hold periodic referral contests: Set specific beginning and end dates. Two or three months is a reasonable period. And remember: Prizes and rewards are only part of the formula for success. A genuinely effective referral contest keeps drivers engaged. Give drivers personalized referral cards. Sure, personalized cards (custom-printed with drivers’ names) cost more than mass-produced cards. But your drivers will be a lot likelier to hand them out. Which means, in the long run, those cards are a lot likelier to pay for themselves. I hinted at it earlier: Drivers have to believe in the company’s selling points. Which means they have to believe in the company. If you’ve earned a reputation for treating drivers poorly, you don’t need to worry about improving your selling points. You need worry about improving your company. Otherwise, that great referral campaign will just become a pipeline fueling your turnover rate. Another good article by Francis. I love the way he keeps thinks simple, direct and positive. Wow, Duane. Just checked-out TMC’s website; coming from a guy like you, that means a lot. Thank you very much. Francis Hare is the CEO of Hare Communications, a full-service agency offering select trucking companies a systematic approach to maximizing ROI for their Driver Recruitment programs.